This little stonefly belongs to the Genus Alloperla. 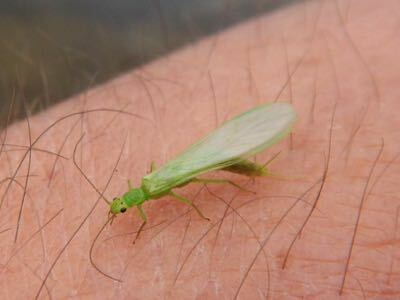 Some species are bright yellow and some are bright green (Lime Sallies). It usually hatches early July.